Duoline filter housings are for applications where the system flow cannot be shut down for filter bag change out. 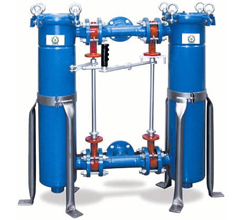 Either a butterfly or ball valve assembly is used to divert the flow between the two housings so that the isolated, out of service, housing can be serviced. The flow is never shut down. 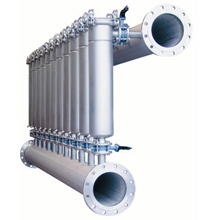 Moduline filter housings are for applications where the flow rate is too high for a single bag filter housing.